Gustavus Adolphus College and the St. Peter Herald are pleased to sponsor West Point’s Jazz Knights in concert at Bjorling Recital Hall, Wednesday, March 4, beginning at 7:30 p.m. 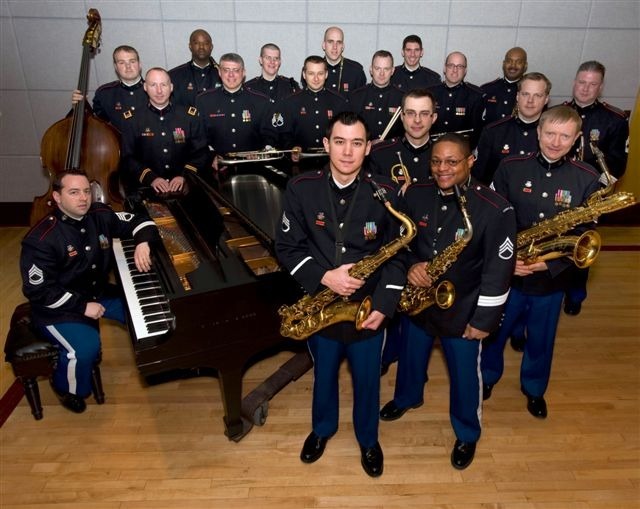 The jazz ambassadors for the U.S. Military Academy at West Point, the Jazz Knights, under the direction of Chief Warrant Officer Matthew Morse, will be joined by the Gustavus Jazz Lab Band and Director Steve Wright for this free public performance. For over three decades, the Jazz Knights have presented the finest in big band favorites, popular music and original compositions to audiences around the world. Former members include alumni from the most prestigious music schools in the country and have played with the Count Basie, Buddy Rich, Woody Herman, Tommy Dorsey and Glen Miller. In combination with the Concert Band and the field music unit, The Hellcats, the Jazz Knights help the Academy meet its musical and military responsibilities around the country. In addition to their work at the Academy and on tour, the Jazz Knights have played with the Benny Goodman Orchestra at Lincoln Center, the Duke Ellington Orchestra for the 200th Anniversary of the New York State Legislature and have appeared twice at Boston’s Independence Day Celebration at the Hatch Music Shell. They perform for festivals and music educators’ conventions, the International Association for Jazz Education, the University of Northern Colorado Jazz Festival and the New York State Band Director’s Association Conference last year. Wednesday’s concert will open with the Gustavus Jazz Lab Band, under the direction of Steve Wright, who have just returned from a performance at the Minnesota Music Educators’ Convention. The Jazz Knights then take the stage with a program that includes works by Thad Jones, Jon Fedchock, Slide Hampton, Rodgers & Hammerstein, as well as compositions and arrangements by current members of the band. Wednesday’s performance by the Jazz Knights begins at 7:30 p.m. in Jussi Bjorling Recital Hall on the Gustavus campus. Tickets are not required and there is no charge to attend this concert sponsored jointly the College and the St. Peter Herald. Doors open at 7:00.